As of now I would give the shoes an overall score of 8! From the feedback we have received, this shoe seems to run true to size. 4/30/2017 - By Joe "c-4"
Hello. These shoes will have universal sliding soles on both shoes. 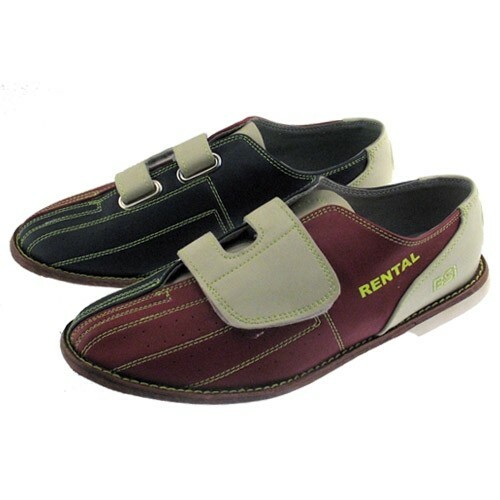 The BSI Mens Hook-and-Loop Cosmic Rental Shoe is for both right hand and left handed bowlers. We want blue shoes but don't see where to click the color? These will have blue on one side and red on the other side. The widest shoes that we carry would be the Linds Mens Classic Black Wide Width. They are a EEE. do you carrie 10 1/2 wide? We do carry a size 10.5 but not in a wide width, unfortunately. Unfortunately, these will be a D width. We do not have them available in a EE width. Due to the time it takes to produce the BSI Mens Hook-and-Loop Cosmic Rental Shoe ball it will ship in immediately. We cannot ship this ball outside the United States.